Los Angeles, CA � An estimated 300,000-plus came to Coachella 2018, which took place April 13-22, to see and hear artists including Beyonc�, Kendrick Lamar, Lion Babe, LANY and Vance Joy. Meanwhile, sister festival Stagecoach, where artists such as Florida Georgia Line, Keith Urban, Garth Brooks, Kelsea Ballerini, Kacey Musgraves and more performed, set new records with over 75,000 per day over three days, April 27-29. What both festivals had in common was the sprawling Indio, CA festival site, excellent sound provided by Rat Sound, and critical and innovative use of Focusrite�s RedNet range of Dante�-networked audio converters and interfaces. 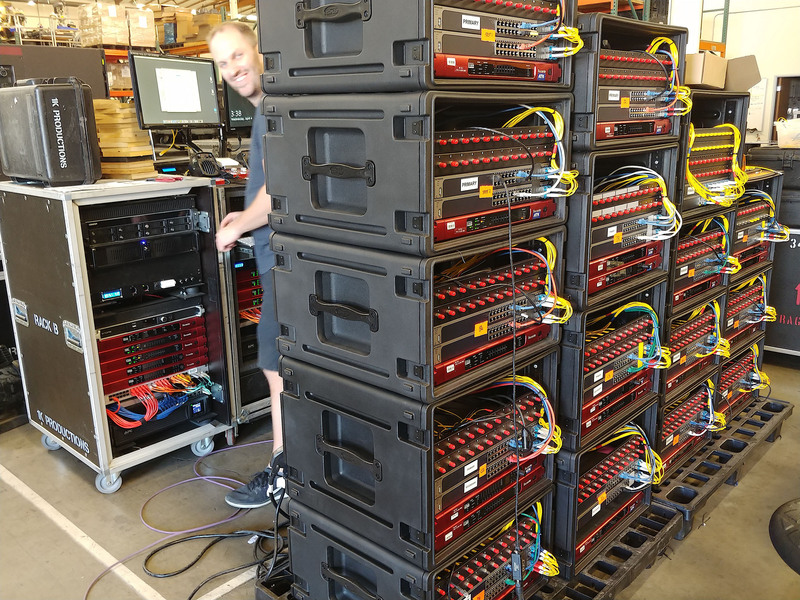 At Coachella�s main stage, all 15 delay towers used RedNet D16R 16-channel AES3 I/O�s to connect their loudspeakers with the L-Acoustics LA8 amplified controllers powering them through the sound system�s main matrix and QSC Q-SYS fiber network. On the main stage at Stagecoach, 27 RedNet D16R units performed the same task, assuring an effective and reliable connection. In addition, the front-of-house position for the main stage at each festival had both a RedNet D16R and a RedNet A16R 16-channel analogue I/O interface. These could accommodate both digital and analogue FOH consoles brought in by performers.